We, at eWebSuite, offer Microsoft .NET platform as a service in order to develop powerful solutions for our clients. So, if you are in search of a software design that is scalable, robust,and secure and alsos uses .NET development best practices, we can help you! Our team of experts will also assist you in migrating or re-engineering your software very cost-effectively and quickly. That will make the maintenace part very easy and simple along with extensibility of software. 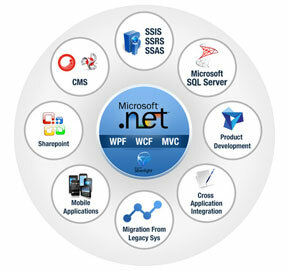 We have full expertise in Microsoft Application Platform. We provide strong technology guidance and proficiency on established technologies such as SOA, cloud and mobile enablement. With the right skill in the right direction , we are capable of global, multi-shore deliveries. Using agile practices we have very predictable deliverables. For accelerating development process, we use reusable frameworks, ready-to-integrate code, tools, methods, and best practices. 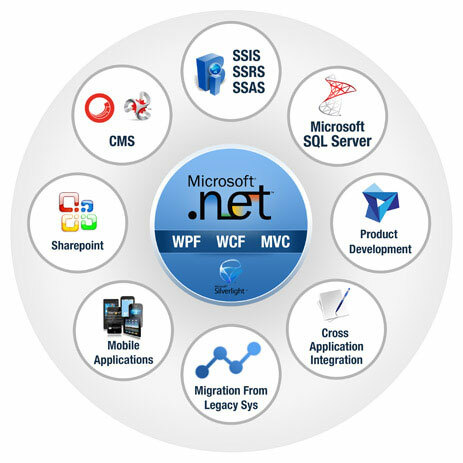 To cater client's need eWebSuite take full advantages of .NET Framework interoperability with other sources of data, applications, systems and programming languages. We put in time and effort for investigating the client's business requirements and leverage our .NET programming expertise to enable rapid, error-free application development. Contact us to get started on your next .NET development or .NET migration project.